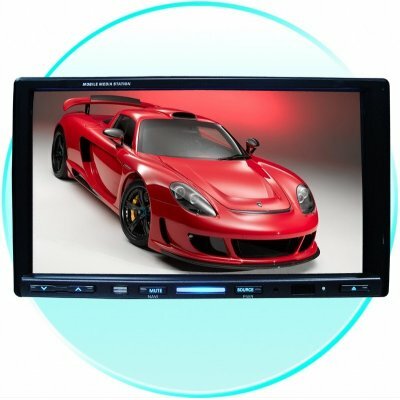 Successfully Added 7 Inch Touch Screen Car DVD Player With RDS to your Shopping Cart. Wholesale Double-Din Car DVD Player with a fully motorized in-dash monitor, RDS function, and an incredibly large 7 inch high color TFT-LCD screen. This low priced 2-Din Car Entertainment System also has a graphic OSD menu with Touch Screen ability making operating the Car DVD Player a snap. Finally it comes with a built in TV Tuner a FM/AM Stereo Receiver and multiple format, region free disk player. A great choice for a very high end Car DVD Player.